I created this map using Tableau several years ago to practice using the software. The data came from the “Catalogue of Manmade Material on the Moon” (pdf) compiled by NASA’s History Program Office. let me know if the credit is fine, can change it to anything else you like. Thank you! Your 3D model is fantastic. 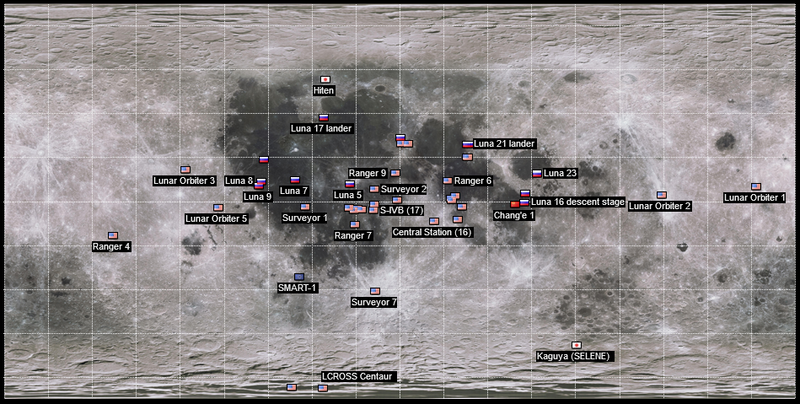 Since I had made this map a few years ago I might need to double check some of the locations, and see if there is a more recent/updated version of the catalogue from the NASA History Office.